Strange Dreams: New album out 1st May! Strange Dreams; connect with your inner poet. 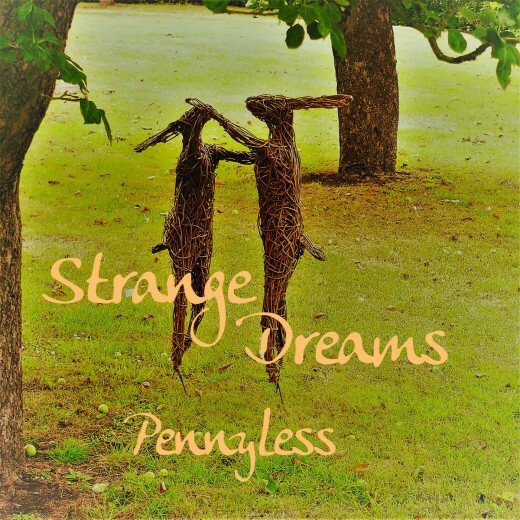 This album by Pennyless explores lyrical verse with searching, wistful yearning and wild untamed love. Rich in melody this is a mellow, dreamy listen with a pastoral flavour; the perfect soundtrack for an English Summer. The running theme is one of passion, questioning longing, love and as ever, loss. The overall effect will have you dreaming of English spires and meadows whilst in commune with your ancient spirit.